Why Choose Amana Capital as Your Liquidity Provider? Amana Capital's reputation made institutional and individual clients worldwide trust the company in serving their financial needs. With a long history in the financial business, Amana Capital is a growing provider of financial and trading services. The company is always pleased to serve and impress institutional customers around the world who choose Amana Capital for its unique products, state-of-the-art client service, leading technology and reliable financial resources. Amana Capital is a proud provider of "Liquidity Solutions" using latest technologies to connect clients to the company's global network of international banks and financial institutions. Working with Amana Capital as a "Liquidity Provider" allows you to benefit from competing prices and smart routing technologies that direct you to the market's best offers. 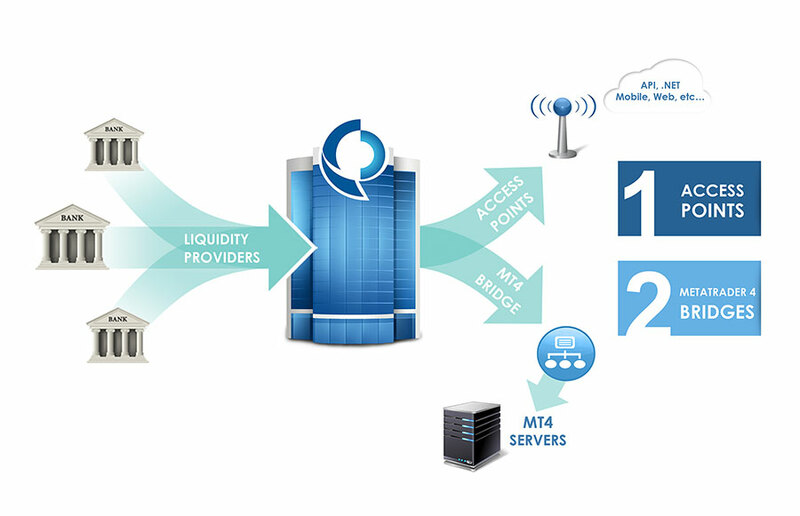 Amana Capital aggregated liquidity feeds can be connected to third parties' trading platforms and applications via secure connectivity access points to deliver a unique trading environment. Through bridges, you can connect your platforms to the company's network of liquidity providers, enabling you to automatically submit your clients' trades to Amana Capital network. Through Amana Capital' “Liquidity Solutions” you will be able to create and offer your clients special price streams while fully controlling your own pricing, execution, and risk management model. The company's system supports different types of bridges to connect your MetaTrader 4 (MT4) server to the company's network of liquidity providers, while supplying clients with full detailed trade logs and activity reports. Tens of financial instruments from different markets (Currencies, CFDs, Commodities, etc..), advanced clearing services, direct access to interbank spreads, solid and extremely fast trades execution. Who can benefit from Amana Capital "Liquidity Solutions"? In case you are a bank, a financial institution, a broker, a trader, a technology vendor (Platforms & Bridges suppliers), then Amana Capital "Liquidity Solution" is definitely for you. Amana Capital realizes that professional entities require superior level of “Liquidity Solutions”; that is why the company has managed to make its existing customers benefit from the most competitive pricing out there.